Several transport groups have committed to come out with more than 3,000 modern jeepneys within the next three months in support of the Duterte Administration’s Public Utility Vehicle Modernization Program (PUVMP). The commitment among transport groups and vehicle manufacturing companies was sealed during the memorandum of agreements (MOA) signing held last Friday, 15 February 2016 at the Land Transportation Office (LTO) main building in Quezon City, and was witnessed by officials of the Department of Transportation (DOTr) led by Undersecretary for Road Transport Thomas Orbos. Land Transportation Office (LTO) Assistant Secretart Edgar Galvante, Land Transportation Franchising and Regulatory Board (LTFRB) Chairman Martin Delgra III, DOTr Assistant Secretary for Road Transport Mark Richmund de Leon, LTO Executive Director Romeo Vera Cruz, and LTO Law Enforcement Service Director Francis Almora also witnessed the MOA signing between the parties. Undersecretary Orbos said the commuting experience would gradually be improved in the next few months due to the commitments of the transport groups and cooperatives to replace their old and dilapidated jeepneys with modern ones. “Ang direksyon po ni Secretary Tugade ay mapabilis ang paglabas ng mga modern PUVs upang maiparanas ng agaran sa publiko ang comfort at convenience na dala ng PUV Modernization. Kaya doon po sa mga nagtatanong kung nasaan ang mga bagong jeepneys, darating na po ang mga bagong sasakyan within three to six months,” Usec. Orbos said. He also lauded the full cooperation of the transport organizations, as well as private partners including the vehicle manufacturers and suppliers, to the government’s PUMVP. 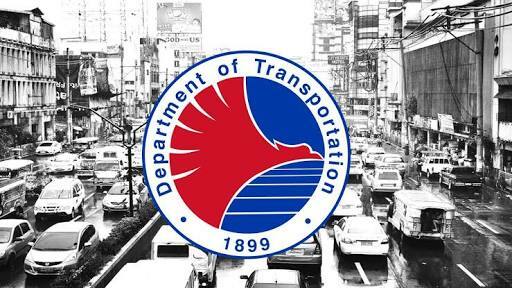 “Malaki po ang pasasalamat natin sa mga transport groups at suppliers na naririto dahil ipinakita nila ang kanilang buong suporta sa programa ng DOTr at ng pamahalaan,” Orbos added. Undersecretary Orbos likewise assured assistance rolling out to transport groups, helping to ease the requirements in getting financing to replace their decrepit units. LTFRB Chairman Delgra, on the other hand, said thag they are now in the process of readying the local public transport route plans, in order for the Board to issue franchises to various transport operators. Delgra echoed Undersecretary Orbos’ sentiments, thanking different transport groups for their all-out support to the modernization program. “Sila (transport groups) na mismo ang gumagawa sa mga kinakailangan gawin sa PUVMP,” the LTFRB chief said. “Lahat na po tulong-tulong. It’s a multi-sectoral task…Lahat gumagalaw patungo sa isang direksyon,” he added. For his part, LTO chief Galvante assured the transport operators that they would be able to distribute new license plates within the year. Transports groups such as Federation of Jeepney Operators and Drivers Association of the Philippines (Fejodap) and Alliance of Transport Operators and Drivers’ Association of the Philippines (Altodap) signed a MOA with Eco Dyip Inc. for fleet management and replacement of units.